Last year at this time we were all happy just have some hay that wasn’t dried up on the field or gone up in smoke. It’s all changed this year though with our very wet fall. Some hay growers had trouble getting their hay dry enough to bale and still cut during limited ripeness windows. Other growers got their hay dry and baled but ran out of covered storage and now have hay outdoors which has been rained on for weeks. Wet hay, either because of initial moisture or because of moisture from rain can have serious issues ranging from loss of nutrition value to forage toxicity and risk of stack fire. 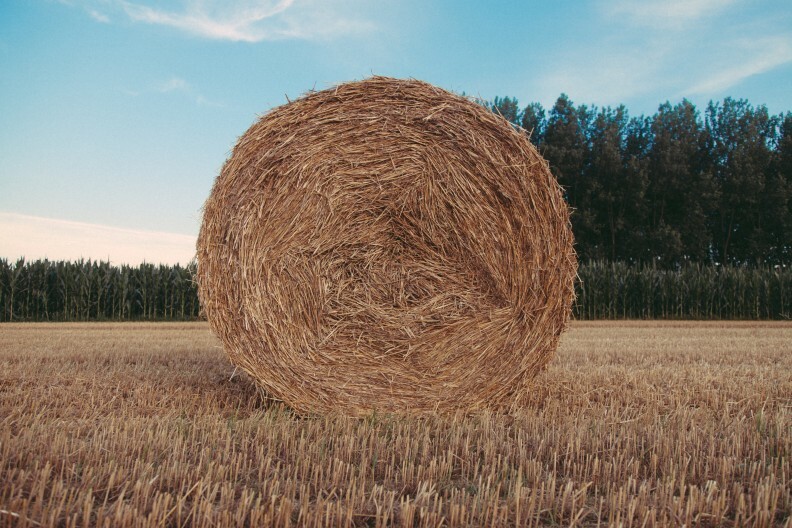 To minimize these risks, it’s important for those growing hay and those feeding hay to understand that actually happens inside a wet hay bale. The information below provides a good background on all these issues. Preventing Fires in Baled Hay and Straw from eXtension.org. 2012.